Updated Friday October 5, 2018 by Brookwood Athletic Association Baseball & Softball. Tee Ball rules vary greatly from regular baseball rules. This is an acknowledgement of the age of the kids and the fact that they are still learning the game. The rules are intended to help teach the game, keep the games competitive and interesting to the kids, and to make their experience as much fun as possible. Pitcher’s Circle – 12 ft diameter with 6 ft radius from pitcher’s rubber. Coaches can pitch (release the ball) in front of the pitcher’s rubber, but at least one foot must remain in the circle when releasing the ball. If a pitcher gets hit with a batted ball, the play is ruled dead and a single is awarded. 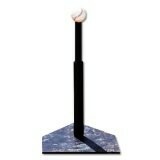 Every runner on base will be awarded one base only from the base they occupied at the time of the pitch. Defense – All players will play in the field during each inning. Infield is limited to 6 infielders. All infielders must play normal fielding positions (P, 1B, 2B, 3B, SS) with the sixth position being short center. Short center must play between the grass and 2nd base. Middle Infielders must begin the play postioned between the grass and 3 feet behind the imaginary line bisecting the diamond from 1st to 3rd. Corner infielders must begin the play positioned between the grass and no further in than 3 feet in front of their respective bases. Outfielders must be on the grass at least three feet from the infield dirt. The pitcher must have both feet inside the pitcher’s circle at the beginning of each play. Infield players may not play forward of an imaginary line (within 3 feet of the baseline) from first base to third base, prior to the ball being hit into play. Any and all play will be considered dead if the defense can get the ball under control in the infield dirt OR if they stop the lead runner. Only an infielder can stop play in the infield or stop the lead runner and the infielder must have control of the ball for this to occur. On a batted ball that reaches the outfield, the outfielder must throw the ball back into the infield. An infielder becomes an outfielder as soon as the infielder leaves the dirt to retrieve a batted ball. An infielder leaving the dirt to retrieve a thrown ball, remains an infielder and can run the ball back to the dirt. “Deer in head light” Rule - Stop play will also be called if an infielder is holding on to the ball for a length of time and is confused as to where to throw it. If the runners have stopped on their own and there is no attempt to advance, even if they are eligible to advance, the umpire can stop play. As soon as a force out is made on the lead runner, call dead ball unless, in the umpire’s judgment, a double play is possible. No rolling of the baseball, players will be warned. If, in the judgement of an umpire, a player intentionally rolls a ball to another player for the purpose of making an out, the umpire can call the runner safe if the ball arrives before the runner either on a force or tag play. Overthrow - A play will be called dead when an overthrow occurs. An overthrow can occur if a thrown ball gets by an infielder making an attempt to catch a ball at a base. If the ball is bobbled and the play is still live, the runner may continue to advance until the umpire makes a safe/out call. An overthrow can occur if an infielder throws a ball to an unoccupied base where a player should be covering to get a force out. The ball is still live when an outfielder throws to the pitchers circle and the ball continues past the circle and rolls into foul territory. The infielder must get control of the ball for play to be stopped, again, they do NOT have to be in front of the runner. There is no infield fly rule in Tee Ball. Once play is considered dead, the runners will be awarded the base closest to them. If runners are between bases, they are awarded the closest base determined by the halfway line marked on the field. Once an advancing runner has passed the halfway mark, then any fielder who is behind the runner must throw to the next base in order to get the runner out. For example, the first baseman has the ball and the runner from first is attempting to advance to second base. If the first baseman cannot tag the runner before the runner crosses the halfway line, then the first baseman must throw the ball to second base. Batting – Batters will be allowed 5 pitches, or attempts, per at bat. The batter may use the tee at any time. The tee is considered part of the ball. If the batter strikes the tee, and the ball does not advance to fair territory, it will be ruled a foul ball. Foul balls will be unlimited on the 5th strike. The batting order will be continuous with all batters participating. The coach will be able to re-adjust the tee after each swing at the ball. All batters and base runners must have a helmet on at all times while on the playing field. Each individual player will be warned one time about throwing the bat, throwing the helmet, or wearing a helmet. After the warning, the player will be called out on the next infraction during that game. A thrown bat can occur only if the player puts the ball in play. A thrown bat is not called on a foul ball. No out will be called for vacated spots in the batting order. Offensive coaches may not touch the base runners during live play. For example: pushing a runner toward the next base or stopping a runner from continuing to the next base. If a runner passes another runner on the base paths and through the course of play a dead ball is called, the runner that passed the other runner is ruled out. The runner that was passed is placed at the base he occupies at the time of the dead ball call. If a runner passes another runner and then the running order is corrected prior to the play being ruled dead, no runner is ruled out for passing another runner. A runner CANNOT score from 2nd base on a ground ball stopped in the infield. The third base coach should stop the runner at third. If the ball reaches the grass the runner may continue to home plate. Coaches – Three coaches (1B, 3B, Pitcher) plus one Catcher (if youth, a batting helmet must be worn) are allowed on the field to assist Batters/Base runners. The Pitcher/Coach must move off the field after the ball has been hit and is in play. Pitches should be thrown overhand. The catcher must remove the Tee from the plate to the backstop as soon as the ball has been hit into play. On defense, two coaches are allowed on the field to assist players. When the ball is in play, these two coaches must remain in the outfield grass against the fence. Every effort must be made by these two coaches not to come in contact with the ball. Managers/Coaches may not physically assist/push/pull a player to or away from any base, or assist any fielder. Pitching Line Rule – The pitcher may tag the batter/runner if the ball is hit up the first base line and the pitcher can tag the batter/runner before having to turn towards first base and “chase the runner", at which point the pitcher needs to throw the ball. The pitcher may tag or force a runner out, only at home plate, or as specified above. Otherwise, he must throw the ball to the base. The pitcher cannot run all the way to the base and then flip or hand the ball to the player covering the base. It is up to the judgement of the umpire of how far the pitcher (or other infielder) can advance toward the base before throwing the ball. At this age group, several steps are reasonable, but they must make a "baseball play" and throw the ball. Since there is no catcher, the pitcher can either tag or force a runner at the plate. The 3rd baseman, or 1st baseman can also make this play, provided they field the ball on the home plate side of the halfway hash mark between the bases. For example, if the 3rd baseman fields the ball BEHIND this line, they cannot chase the runner home in an attempt to beat him to the plate. It must be a "baseball play". If they have charged a slowly hit ground ball, and fielded it near the runner, and the appropriate baseball play is to continue home or to tag the runner, in the umpire's judgement, the runner can be called out. If they field the ball behind the halfway hash, they cannot make the play at the plate and must either tag their own base (if the play is available), or throw to first base to record an out.